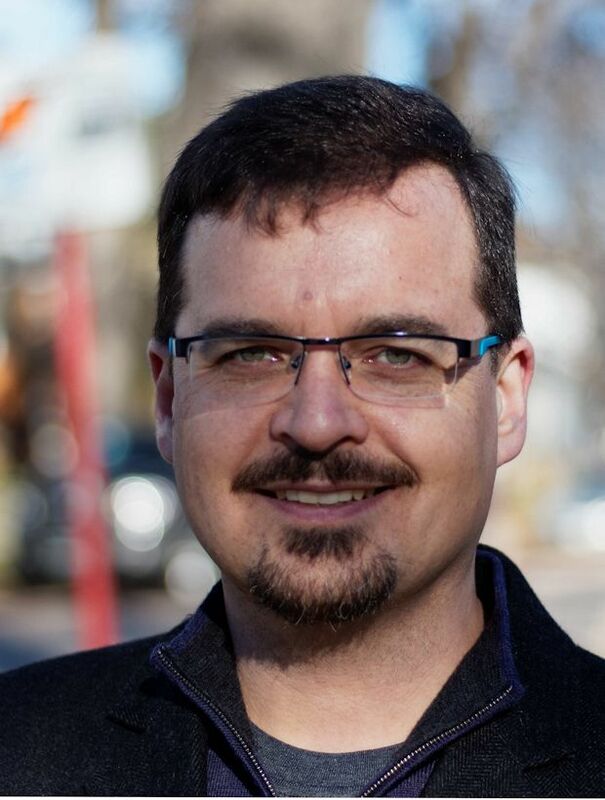 The campaign to elect David Nickarz in Wolseley has launched an online fundraiser on Indiegogo.com. Does Mr. Selinger mean his NDP government or the people of Manitoba? The Selinger government plans to issue building permits and sell discount rate hydro power for the pumping stations that will transport dirty tar sands bitumen across Manitoba. 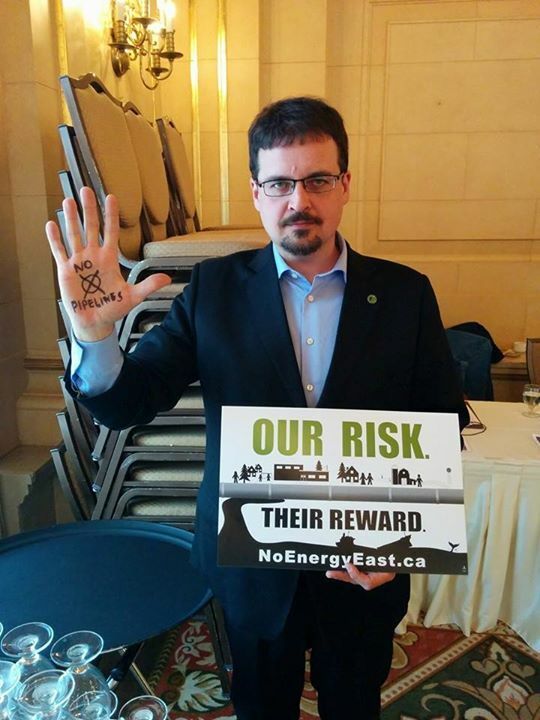 Wolseley MLA Rob Altemeyer showed up at the Maude Barlow Energy East: Our Risk, Their Reward event at the Fort Garry Hotel on Saturday, April 11. I asked him what he would do to oppose the pipeline. He told me that he would certainly be raising some concerns, and that he was at the talk to learn more about the issue. However, when the speakers started, Altemeyer left. Wolseley MLA Rob Altemeyer is joining our Premier in Quebec for a Premiers’ meeting to discuss the pipeline and other environmental issues. I predict Greg Selinger will come back from the Premier’s conference with talking points supporting the pipeline. He will say the pipeline project is safe and that there is a review process in place to address public concerns. 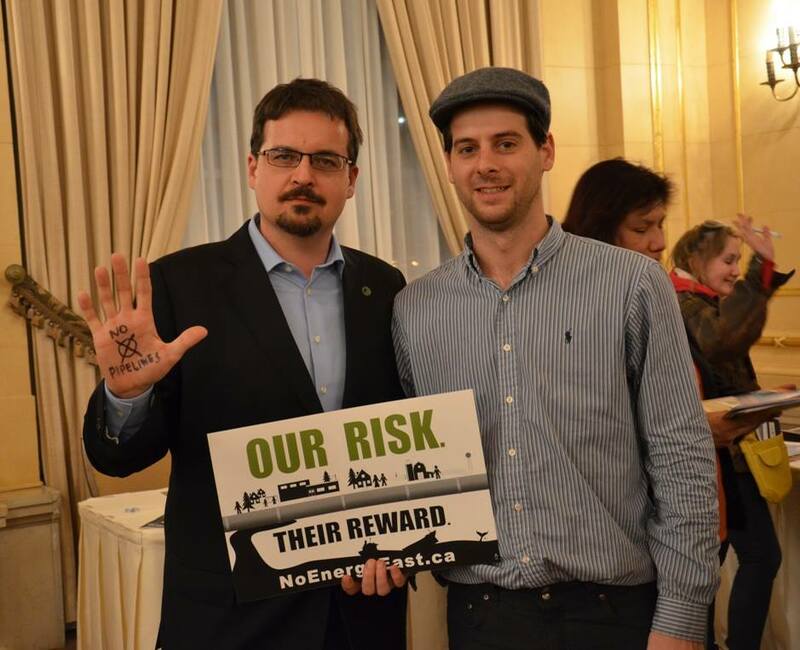 David Nickarz and Leader James Beddome at the Energy East – Our Risk, Their Reward talk at the Fort Garry Hotel, April 11, 2015. He will be wrong on both counts. A 40 year old natural gas line will be reused to pump tar sands bitumen. There will be a spill, we just have to wait and see where and how much. Also the National Energy Board (NEB) is tasked to review projects that cross provincial boundaries, is little more than a rubber stamp to the project, directed by Stephen Harper. There is so much more wrong with this pipeline, I could go on for quite some time. As the Green Party candidate for Wolseley, I join with 78% of Manitobans who want the Energy East pipeline shut down. Our climate and water is worth much more than the dirty oil from the tar sands flowing across our province. Our NDP government shouldn’t be issuing building permits and supplying subsidised hydro power to the Energy East Pipeline, with no environmental review and with no thought to what tar sands oil is doing to our climate.